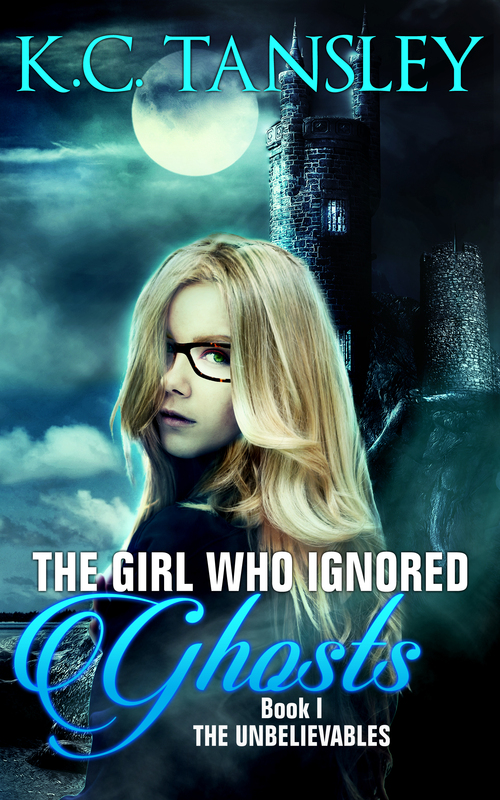 Don’t Ignore The Girl Who Ignored Ghosts! Congrats to K.C. Tansley! We are thrilled to share some of the advance praise for her book, The Girl Who Ignored Ghosts. We’ve also been receiving some terrific feedback on NetGalley. If you are a NetGalley reviewer and are interested in receiving a digital copy of the galley, please send us a request. There will be a couple more Goodreads giveaways this summer. If you add TGWIG to your want-to-read pile, Goodreads will send you an alert when a giveaway is going on. K.C. Tansley will be on tour with her book this summer and fall. Check her website to see if she will be in your area. Please contact the author, if you would like to schedule a book club talk or school visit. You can reach her via her website. The official release date is August 1st, but you can preorder The Girl Who Ignored Ghosts on Amazon in ebook or paperback format right now too!